Opportunities to reach out with books — Books Are Changing Lives! When asked what was the greatest commandment, Jesus responded, “You shall love the Lord your God with all your heart, with all your soul, and with all your mind. This is the first and great commandment. And the second is like it: You shall love your neighbor as yourself” Matthew 22. In the story of the Good Samaritan, Jesus challenges us to “Go and do likewise” Luke 10. In the opportunities we are sharing here, we have been given rare access to two very unlikely groups of people in need: inmates in America and youth and families in Cuba. As YWAM Publishing, we want to invite you to partner with us as we respond to the open doors before us. For years we have unsuccessfully been looking for an opportunity to get Spanish language Christian Hero biographies into Cuba. That door has finally opened! In partnership with Action International Ministries, the printing, and distribution of Christian Heroes: Then & Now titles is now taking place in CUBA! Brian Stewart, Action's Cuba Director, writes, "Christian books are scarce in Cuba, and when available they are normally reserved for pastors. To have these books available for teens and college students is an amazing blessing! We are grateful to YWAM for this opportunity." Due to Cuba's isolation over the past decades, believers there understand 'missionaries' to be church-planters within their culture. They are not aware of the rich cross-cultural missions history of the Church outside their borders. "Names that are well-known to us, such as William Carey, George Muller, Hudson Taylor, and David Livingstone, are unknown in Cuba," Stewart says. "So, the richness of those lives and testimonies has not been available for them to learn from, and be inspired by." 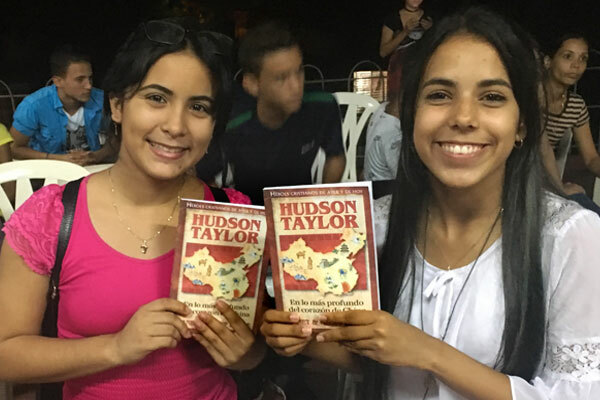 300 copies of "George Muller" and 300 copies of "Hudson Taylor" have already been printed and distributed in Cuba, and there are plans to print thousands more. Please consider joining with us in this important project. Your gift of only $3 per book will challenge readers to a deeper and living walk with God, plant the seed of world missions in this isolated country, and impact the lives of many as each book will have multiple readings as it is passed by hand from reader to reader. Working in conjunction with Chuck Colson's Prison Fellowship, we have developed a project to reach US prison inmates with the gospel via the life-changing Christian Heroes: Then & Now biography series. We now have the opportunity to make these impactful portrayals of the Christian life available to 1.3 million inmates. That's 50 percent of the entire US prison population! 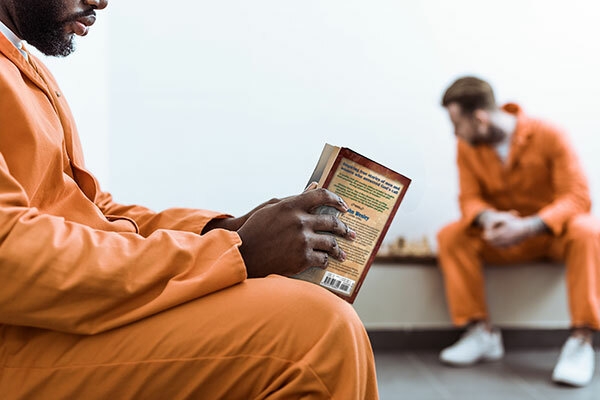 Financial assistance from ministry partners has enabled us to deliver a 64-book set (42 in English and 22 in Spanish) of the Christian Heroes: Then & Now to a US prison for only $77.10. Christian Library International (CLI) has provided access to deliver these sets of books to 1,534 razor-wire prisons. These facilities average 1,000 inmates each, which will make the books available to 1.3 million men and women in prison. Please consider joining with us in this important undertaking. If requested, we will provide you with the name of your sponsored prison or prisons so that you can pray, individually or as a family, for prisoners as they encounter through story the lives of your "missionaries" to these prisons. In my nearly 40 years in Christian publishing, I see this project as unparalleled in its potential and promise to impact the lives of those who need to hear the credible and applicable gospel presentation that these books provide. Books have already been delivered to 1,089 prisons, but your help is needed to accomplish the goal.